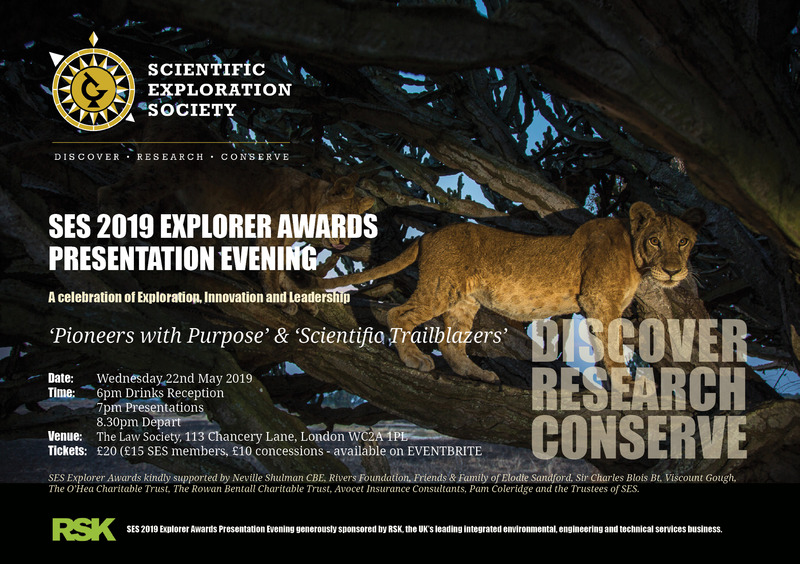 Scientific Exploration Society (SES) is a UK based charity (No 267410) that leads, funds and supports scientific discovery, research and conservation in remote parts of the world offering knowledge, education and community aid. Our focus today is on supporting young explorers through our Explorer Awards programme, building a community of like-minded individuals through the Society’s membership, offering regular explorer talks and providing opportunities to go on expedition. We have an excellent Honorary Advisory Board, which includes Sir Ranulph Fiennes, Rosie Stancer, Pen Hadow, Ben Fogle, Bear Grylls, Mark Beaumont and Levison Wood. Without its support, and that of our Trustees, part-time staff and volunteers, SES would struggle to do all that it does. Thank you to everyone involved.